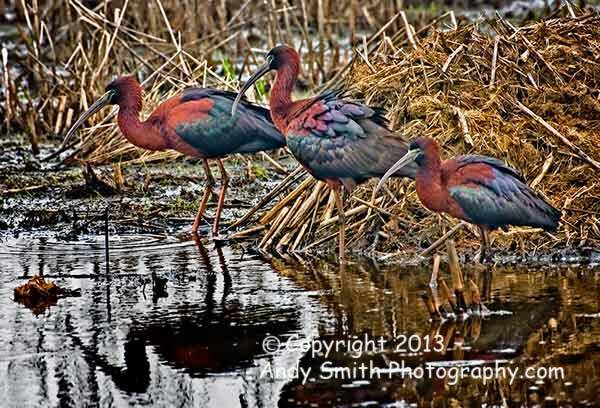 The Glossy Ibis, Plegadis falcinellus, is a common wading bird along the East Coast of the United States South of Maine. Its overall dark color and curved bill are distinctive. these males at the Forsythe National Wildlife Refuge in New Jersey are in breeding plummage.